Admit it….You have always wanted to take scuba diving lessons, experience unparalleled adventure and see the world beneath the waves! This is where it starts! To enroll in a PADI Open Water Diver course (or Junior Open Water Diver course) you must be 10 years old or older. You need adequate swimming skills and need to be in good physical health. No prior experience with scuba diving is required. 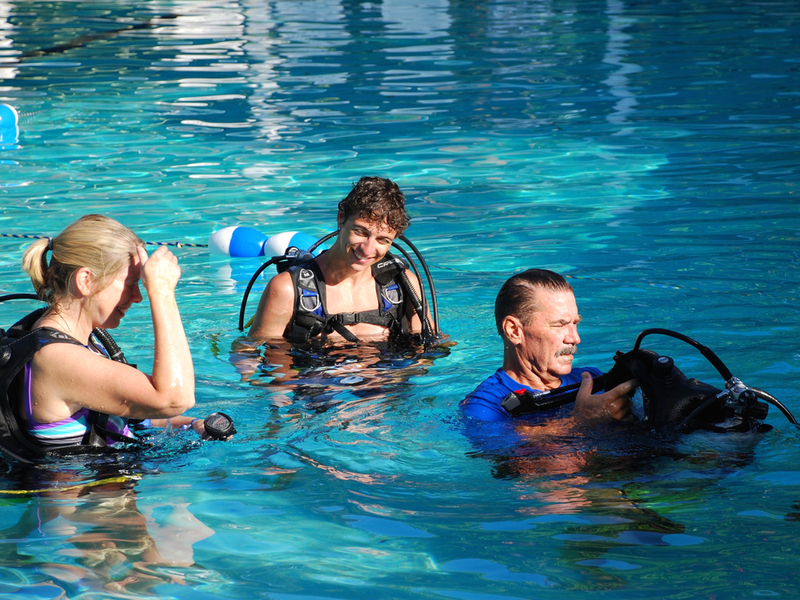 A medical history form must be completed by all divers prior to participating in this activity. You are responsible to make sure you are medically qualified to participate in this sport. 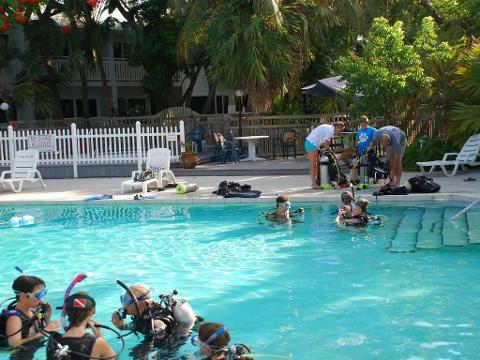 You may be able to get college credit for the Open Water Diver course. 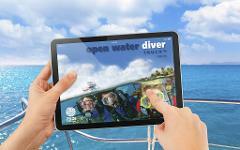 4 Open Water Dives, using the skills you’ve practiced and exploring the world under the waves! Your PADI Crew Pack (student folder, Open Water Manual, Recreational Dive Tables and Training Logbook) will be mailed to you in advance of your arrival date. You will read the material and answer the Knowledge Review questions at the end of each module (5 total) and bring these with you to class. Your PADI Instructor will review the Knowledge Reviews with you, and together, you’ll watch and discuss the PADI Open Water Videos. These videos will reconfirm your open water manual information and also preview your pool skills training exercises. After each video and discussion, you will take a short quiz. At the end of the 5 videos, a final exam is given. 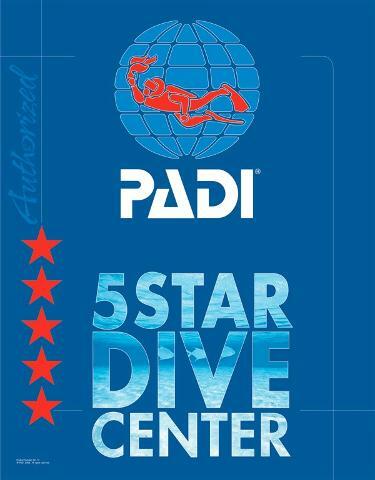 PADI registration and PADI permanent Certification Card is also included. 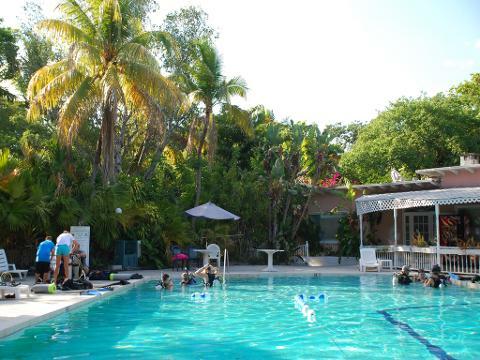 We are at the dive center 7 days a week for you, and we have PADI Instructors at Captain Hook's throughout the day to help with any questions you may have. 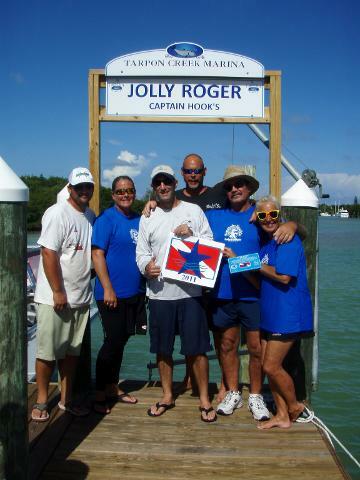 Captain Hook’s provides all scuba equipment and tanks & weights for your confined water (pool) skills training and your two dive trips for your 4 open-water checkout dives. 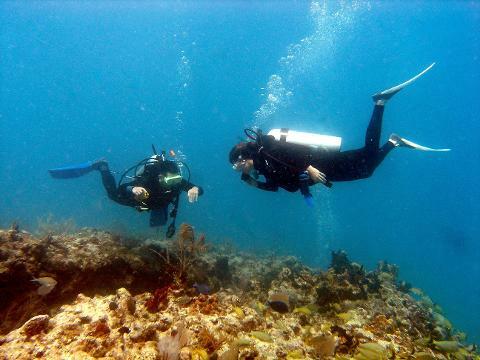 At Captain Hooks, under the guidance and instruction of our experienced PADI dive instructors, the Open Water Course has been designed for safety, personal comfort levels, multiple learning approaches and lots of FUN!!!!! 1. Go to the Booking Calendar and select the first day that you would like to attend the class. Be certain to select the quantity of participants that are taking the course. 2. Complete the booking and fill out all of the information requested. 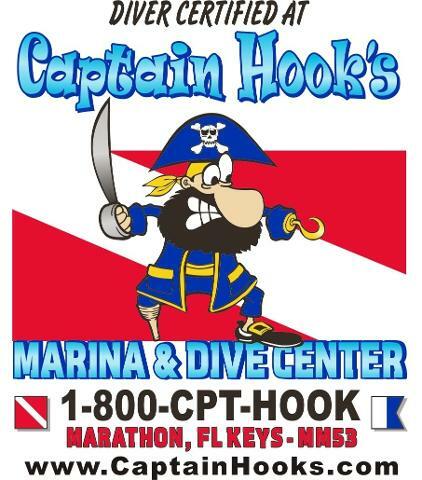 You will receive an email confirmation from Captain Hook's and a phone call from our instructor to discuss further details about the Open Water Diver course here at Captain Hook's.